Alt-Shift-J is a new project that’s aiming to inspire more young people to get involved in jazz as audience members, promoters and performers. Developed by Jazz North, the initiative will see some of the band members from this special show at Middlesbrough Town Hall go on to work with young singers and musicians from across the area. Taking place on Saturday 16th February in The Crypt, the gig brings together some of the best in contemporary jazz sounds from across the north. The Breakout Brass Band is the first New Orleans-style band in the UK to feature all female members and will get things off to a storming start. Ubunye is a project that unites a group of singers hailing from Natal in South Africa but who are now based in Huddersfield. Collaborating with gospel singers and R’n’B musicians from the wider Yorkshire region, it’s an inspirational blend of jazz, Isigqi (traditional Zulu music) and Afro-pop. Last up are the ground-breaking Roller Trio from Leeds. 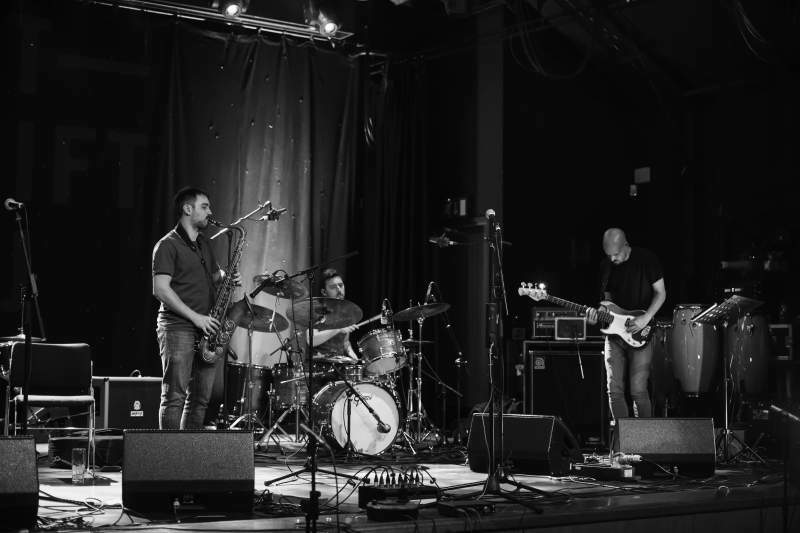 Weaving together contemporary improvised guitar, electronica and drums they were nominated for a Mercury prize in 2012 and have gone from strength to strength since then, bringing them acclaim from fans and critics alike.